This tiny Caribbean country is sandwiched between Mexico and Guatemala and in many ways it feels frozen in time. With a population of around 300,000 people, it's one of the smallest countries in the region, but it's becoming a popular tourist destination for several key reasons. English is the official language so it's very easy to get deep into the culture even if you don't know another language, and it's still much cheaper than most of the Caribbean islands it otherwise resembles. By far the most popular place for visitors in Belize is Ambergris Caye, which is a long and narrow island not far off Belize City. The beaches aren't great, but the scuba diving, snorkeling, sailing, and fishing are world-class. The second-largest barrier reef (after the Great Barrier Reef in Australia) sits just off the coast, which creates the incredible diving and snorkeling possibilities by itself. The Blue Hole is the most famous dive spot, but it's not for beginners. 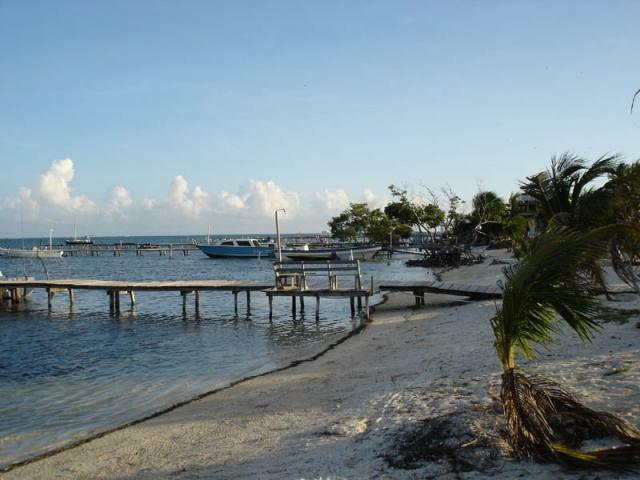 Caye Caulker is a much smaller island and it's closer to Belize City. It's similar to Ambergris, but better suited to backpackers and budget travelers. Dangriga is an interesting city further south, and there you can experience the Garifuna culture first hand. South of that you come to the Placencia Peninsula, which has smaller crowds and the nicest beaches in the country. Belize City itself has some rough areas and not much to offer tourists, but go inland from there and you can get to San Ignacio, which has many jungle activities and also Mayan ruins nearby. Read: 8 Green Ways to Experience Belize. Unless you are already in southern Mexico or Guatemala, you'll want to book a flight into Belize. The international airport is near Belize City, and a taxi from there can take you straight to the Marine Terminal in town where you can get the water taxi to one of the islands. There are tons of hotels in Belize, and most of them are quite cheap and basic. Many of them aren't available to be booked online, but an increasing number are. The better hotels and resorts are in the San Pedro area of Ambergris Caye, but they come in all price ranges. Cheaper hotels are found on Caye Caulker, and Placencia Peninsula as well. There are a handful of hostels in Belize, but also listed you'll find some budget hotels that might actually work better. This is one of the new frontiers for retirees and investors since prices are low and the living is easy. Buying real estate in Belize is becoming one of the more popular reasons to visit the country.